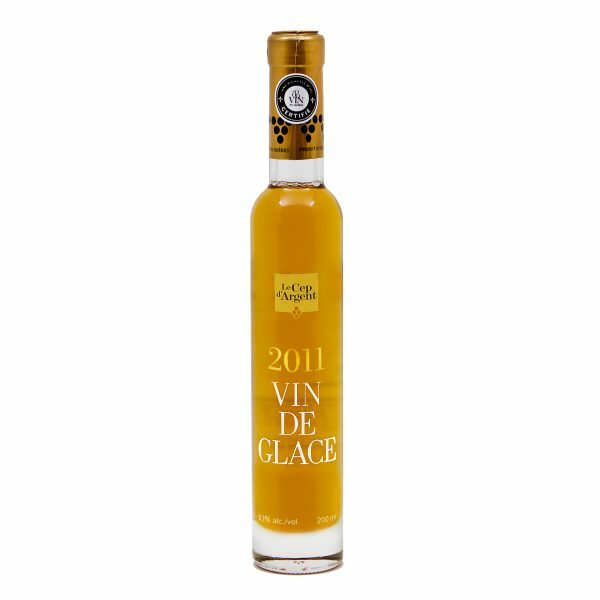 This ice wine is made solely from the Vidal varietal, gathered during cold winter nights. Aromas of candied fruit, baked apples, honey, grapefruit, figs and the Northern fruit known as cloudberry. A pleasant gourmet freshness in the mouth, round and lingering. Food and wine pairings Foie gras, Bayonne Ham and melon. Berries (desserts), lemon tart, upside-down tart, veined cheeses, figs.